The Reformation happened 500 years ago because people who had not previously had access to the Word of God suddenly did. Here we are watching as the world moves further and further away from God, praying for revival. But are we using the tool God gave us for that revival? Most of us agree that regular Bible reading is a good thing, but do we really live like the Word of God is the BREAD of our LIVES? 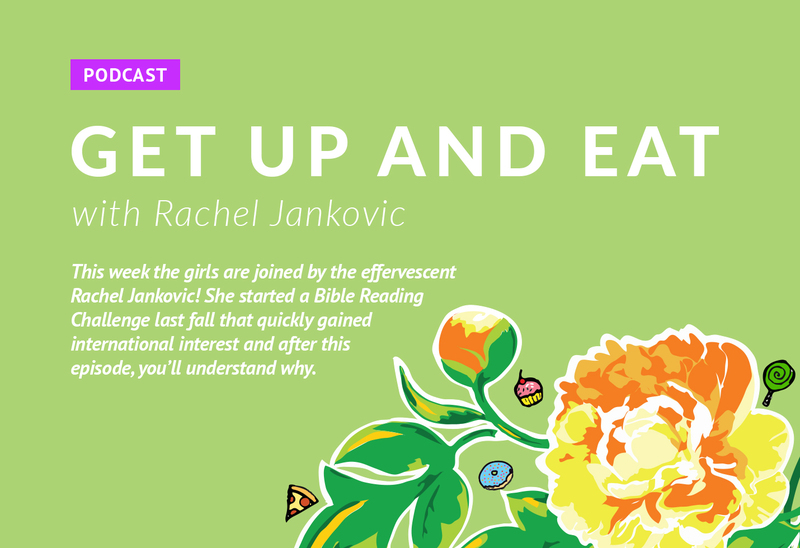 This week Rachel Jankovic, author of Loving the Little Years and Fit to Burst tells us what inspired her to begin a Bible Reading Challenge for the ladies at her church. A year later, the challenge she started has spread to other countries, and people’s lives are being changed by this very simple inspiration. This was fantastic…I have been saying the same things for a long time to anyone who would listen! Can anyone sign up for the Bible Reading Challenge? I would love a link, if possible. Lol…I got excited and sent this before I finished listening! YES!!!! I can no longer tolerate the fluffy Bible studies that my women’s ministry hands us every season so I’ve stopped signing up for small groups through my church. Let’s dig into the Word and chew on it! We don’t need milk from someone else, we need the meat of the scripture. I’m sharing this podcast on FB because it resonates so deeply with me! Come on ladies, lets read God’s Word! I am so with you Allie! It makes for such a shallow life with other women to have fluffy as you said studies. I’m glad there are others that feel this way! Two of my favorite podcasts mashed together! I’m loving the challenge so much. I’ve had many years where I submitted to the fears and doubts of believing I wasn’t smart enough to read the Word on my own. I’m so grateful to have those lies obliterated. Thank you ladies for teaching truth. To God be the Glory!